R.E.M. 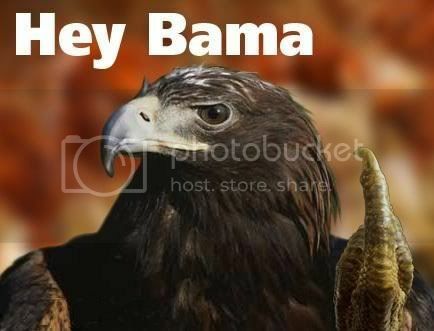 called it quits today, much to the chagrin of the Auburn alums who camped out at Beard-Eaves for two weeks that one time (here’s the setlist), we’re sure…. This has to be Michael Stipe because the Glom never makes mistakes. Eat your heart out, Lupe Fiasco. Related: Bjork in Jordan-Hare, 1988. Yeah, R.E.M. got a little b&w picture of Peter Holsapple (of opening act The dBs), while Whitney Houston got two color pages in that Glom. That’s what music was like in the ’80s, kids. That R.E.M. show was good. I experienced that R.E.M. tour at Cameron Indoor Stadium in October 1987: a life-changing event. It was still the 80’s, but the 90’s were coming on strong. My big brother was a Freshman that year and it was the first I’d heard of REM. What a time. 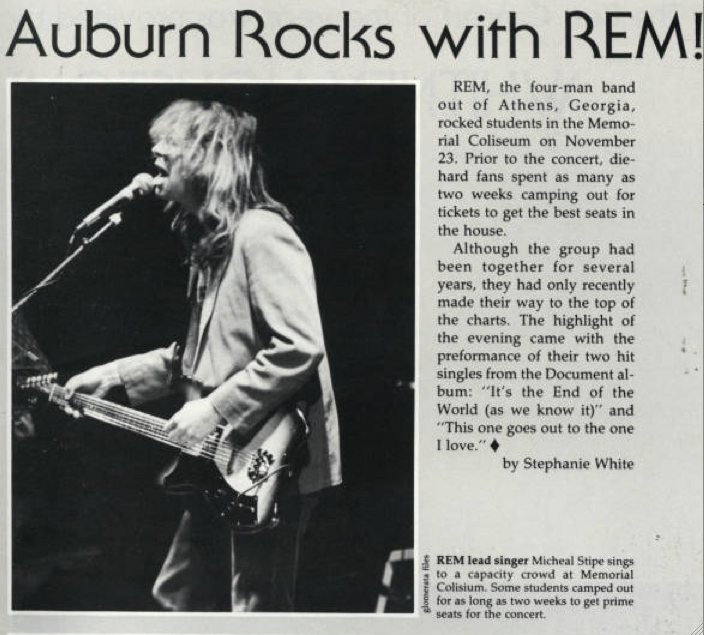 I’ve got a tape of R.E.M in Auburn. My oldest brother Pudd recorded it in 1987.